Maybe you received an Arduino starter kit as a gift recently, or maybe you keep hearing about this awesome hobby for tinkerers and you want to try it out, or maybe you’re an Arduino pro who just needs some fun ideas for the holiday season. If so, you’ve come to the right place. Everyone should learn a bit of Arduino 4 Reasons Why Everyone Should Learn Arduino Now 4 Reasons Why Everyone Should Learn Arduino Now Arduino this, Arduino that. Maybe you've heard of it before, maybe you haven't. You might have no idea what it is, what it can do, or why you should care. Here's why. Read More , and these project ideas are great examples of what you can do with just a bit of knowledge and guidance. Here are seven ways to spruce up your Christmas this year, ranging from beginner-friendly to impressively complex. This simple project can be a great way to set the mood when visitors come over for the holidays. Using a motion sensor and set within a wreath hanging, it plays a pre-recorded message followed by a random Christmas song. It may take a few hours to create and set up, but the instructions are straightforward and there’s nothing particularly tricky about it; the assembly is easy and the code is painless. A good place to start for absolute beginners who want to level up their skills. This Arduino advent candle has 25 LED lights, one for each December day leading up to Christmas, and a cool effect to show which day you’re currently on. It also has a button that plays “Jingle Bells” when pressed. Ideally you’d make it in November and have it done by the 30th, but it’s still worth making even if you’re late. This project requires a bit of soldering, which can be daunting if you’ve never done it before. But don’t worry: we have a great guide for learning how to solder Learn How to Solder, with These Simple Tips and Projects Learn How to Solder, with These Simple Tips and Projects Are you a little intimidated by the thought of a hot iron and molten metal? If you want to start working with electronics, you're going to need to learn to solder. Let us help. Read More ! In this beginner-friendly project, you string together numerous LED lights to create a fairy lights decoration where each light randomly flickers on and off. It’s a wonderful project for building atmosphere. The lights are simple, but really work to bring the feeling of Christmas. The best part? It’s not just instructions but an actual tutorial. You’ll learn things, making it great for absolute beginners. 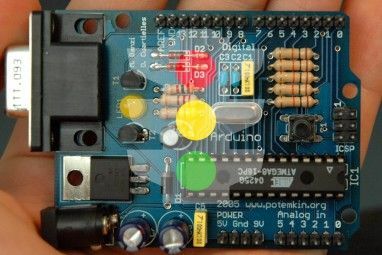 If you aren’t the least bit comfortable, start with our complete guide to Arduino. If you live in a small studio or apartment, a full-blown Christmas may be out of the picture. But you can still go for something more compact! Like this Arduino Christmas Tree, which automatically lights up when the ambient light drops below your pre-defined value. Because of how small this project is, you can put it almost anywhere: coffee table centerpiece, entryway side table, bedroom nightstand, kitchen countertop, etc. You’ll need to work with wood though, so check out our article on learning rudimentary woodworking skills Beginner's Woodworking: 5 Skills You Need to Know Beginner's Woodworking: 5 Skills You Need to Know Many people shy away from woodworking projects simply because they haven't done it before. Here's a rundown of the 5 most important woodworking skills to help you get started. Read More . On top of all the creative uses for Amazon Echo and Alexa, did you know that it can integrate with Arduino as well? An Arduino Yun running Linino OS can comprehend Alexa voice commands and consequently control components, such as the LED strand used in this project. In short, you can now control the lights on your Christmas tree with voice commands! It’s admittedly an involved project, but isn’t so difficult that you’ll rip your hair out over it. If you have experience with Arduino and Amazon AWS, you should definitely give this a try. In this awesome tutorial by Akshay James, you’ll learn how to create a light show using the lights and decorations mounted on the exterior of your home, and that light show will be synchronized to music. It can even integrate fog machines if you wish. The project utilizes MIDI for music, and the MIDI signals are interpreted by an Arduino to turn relays on and off, which is what controls the various lights for the show. It isn’t easy, but the results are so worth it, as you can see in the video above. If you enjoy this, be sure to check out these other musical Arduino projects 6 Musical Projects for Arduino Beginners 6 Musical Projects for Arduino Beginners An Arduino can be to create or augment music. Here are 6 great musical projects: some are dead simple to implement while others are more complex, but they're all quite satisfying in the end. Read More . If you have a lot of time on your hands — we’re talking days — and want to tackle a project that’s more complex than it may seem on the surface, then this wall hanging may be the perfect choice. It captures the essence of Christmas, has a lot of moving parts, and is able to make any room come alive. You’ll be working with a lot of wood, some laser cutting, and a good bit of DIY hacking of various components. The creator himself says that it took him almost a week to make this, so prepare to set aside as much time, if not more! At least once it’s made, you can store it away and effortlessly bust it out every Christmas. Just because it’s Christmas season doesn’t mean you have to make Christmas-themed projects! 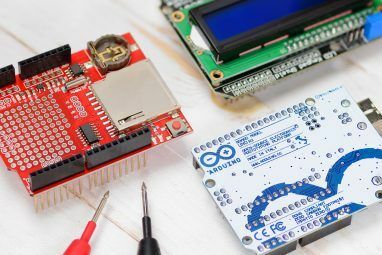 There are so many ways to exercise your Arduino skills, including these projects for Arduino beginners 15 Great Arduino Projects for Beginners 15 Great Arduino Projects for Beginners Interested in Arduino projects but not sure where to begin? These beginner projects will teach you how to get started. 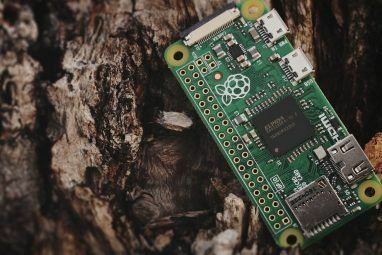 Read More , these Arduino projects for automating your home Arduino Project Ideas for an Automated Home Arduino Project Ideas for an Automated Home Wouldn't it be great to water your greenhouse without leaving your chair? An Arduino can be engaged as the key component of some home automation projects - here's five! Read More , and these incredibly cool Arduino robots 8 Arduino Robots You Can Build for Less than $125 8 Arduino Robots You Can Build for Less than $125 The Arduino can do a lot, but did you know it can create full-fledged robots? For quite cheap, too! Read More . 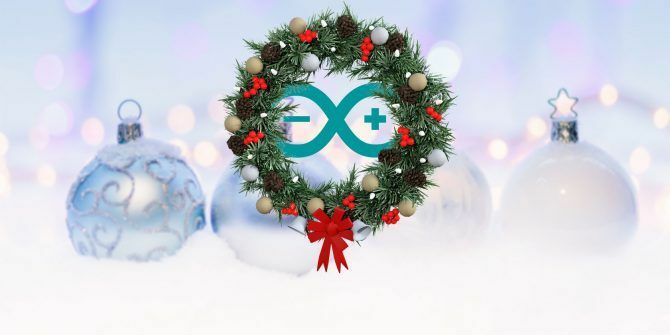 What will you make with your Arduino this Christmas? Got any other cool project ideas that we missed? Share with us down in the comments below! Explore more about: Arduino, Christmas.